My Incredible Trip to my Grandparents Ancestral Villages. Part 3. We leave Lichen Stary and head to Poznan. There we met local guide, Adam Dykiert at our next lodging place, Hotel Brovaria at 11am. Our guide is very enthusiast and proud of his heritage and city. Our tour lasted over 3 hours and we covered a lot of territory. Poznan is a city on the Warta River. 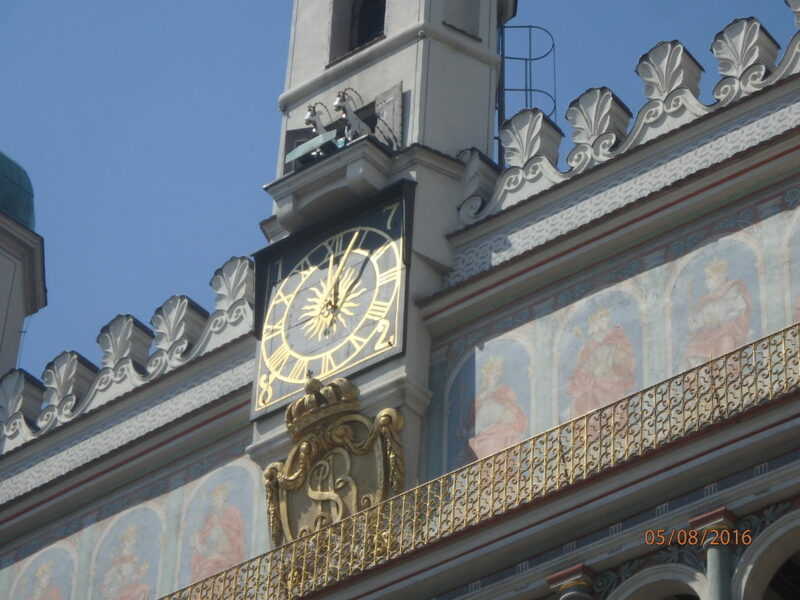 It included a visit to Poznan Cathedral of St. Peter and St. Paul, which is a 10th century Gothic-Baroque architectural style, the Uprising Museum, a city park, then we road an electric trolley train to Old Town Hall (it’s famous because of the display of the mechanical fighting goats, that fight each other everyday at noon and bring crowds to the square to see it). Town hall in Poznań and mechanical goats. My Incredible Trip to my Grandparents Ancestral Villages. Part 2. This morning, Dale stayed behind at the hotel and did birding along the water near our hotel, the church grounds of St. Dorothy’s and in Lichen Stary. Z and I left the hotel, and headed back to Konin Archives to look for more records. We then drove around Sompolno where my grandfather Frank Wilinski was born. In Lubstow, we visited the area where my great grandfather Wojciech and great grandmother Emilia Ast lived and worked. In the area we visited the church where they attended, walked through the cemetery took many pictures of graves that might have a connection to my family. 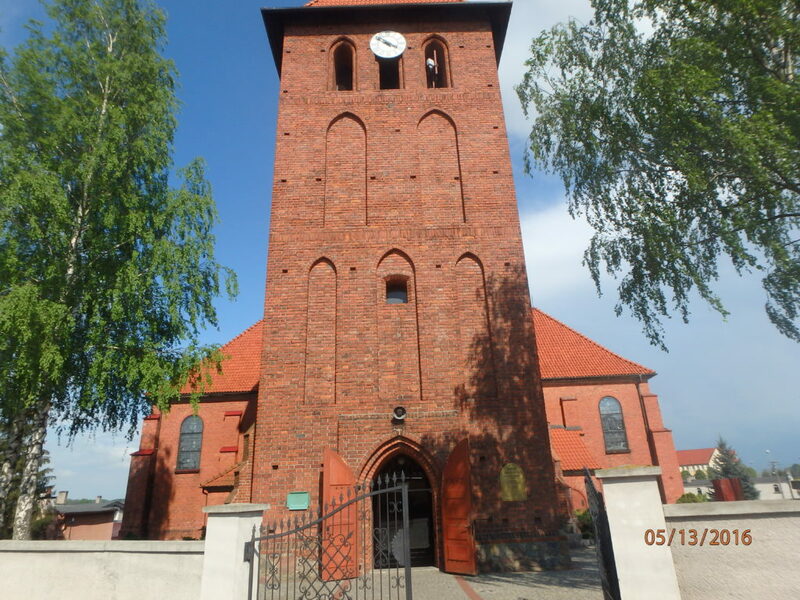 It was noon, so we got to hear the church bells ringing at St. Hedwig Church. Inside the church it looked like they were preparing for a First Holy Communion mass that weekend.